Elephants have been a part of Thailand for many years and are also the national animal of Thailand. Read on to know more. They are broadly categorised into two species; Asian and African. Under Asian you have further sub-species; Sri Lankan, Indian, Sumatran and Bornean. Out of these, the ones that are found in Thailand are the Indian elephants, which are currently under the endangered species. There are a little more than 1500 wild elephants in Thailand. However, it is sad to note that many of them are poached from the wild and held captives, and most of them are used for tourism. The natural habitat of the Thai elephants is usually further up in the Northern and Western parts due to the presence of tropical forests in the area. It has been said that in 2017, the Department of National parks stated that the number of wild elephants has increased by about 7-10 percent. This is good news as the numbers had dropped due to illegal logging which leads to a dramatic reduction in the forest cover. Elephants have an integral role in thai culture, if you happen to visit a museum in Thailand, you will see a plethora artworks and scriptures that have some reference to the elephants. They are considered a sacred animal, due to their symbolism in Buddhism. The first flag of Thailand was actually a white elephant amidst a red background. The flag of the Royal Thai Navy also has a white elephant on it. Why white elephants? As mentioned earlier, due to its association with Royals, white elephants are considered to symbolise wealth and power. How could you see them? If you happen to plan your stay at resort properties the likes of Anantara Golden Triangle Elephant Camp & Resort which is a hotel in Chiang Rai – you have a high chance of spotting wild elephants since the Golden Triangle region has the highest concentration of Thai Elephants. You could also join on a wildlife safari during your time here during which you can witness many other animas as well. Shop till you drop in Malaysia – A popular Shopping Destination in Southeast Asia! Love to shop?Then you have come to the right place. Malaysia is arguably one of the most popular spots where shopaholics can enjoy endless retail options and more! A much-visited shopping complex which is located in the trendy Bukit Bintang district, the Pavillion Kuala Lumpur Mall is a sprawling building which offers avid shoppers both local speciality retailers and international designer labels. Situated at the very base of the iconic steel-clad Petronas Twin Towers, the Suria KLCC is an extremely popular entertainment and retail compound which can be easily accessed from many Sepan hotels in Malaysia including the likes of AVANI Sepang. Arguably Klang Valley’s most trendy shopping attractions, the Mid Valley Megamall offers a series of concept stores along with a vast choice of high-end designer labels to choose from. Opened in the year 2007, the Gardens Mall in Kuala Lumpur specializes in luxury brands such as Michael Kors, Hermes and Coach. The mall’s anchor tenants include Malaysia’s movie franchise Golden Screen Cinemas and UK ‘s department giant, Robinsons as well. Discovering Africa’s Little-Known Underwater Paradise – Mozambique Adventures! Set amidst 1,500 miles of coastline, Mozambique is blessed with truly rich marine biodiversity. Those exploring this magical underwater world are in for a treat as they will encounter fascinating denizens of the deep. Seeing these gentle giants of the ocean swimming wild and free is a truly unforgettable sight and can be enjoyed on excursions organised by the likes of Anantara Medjumbe Island Resort. Arctic humpback whales can be spotted in the waters around Medjumbe Island especially during the migration period from July to October. When it comes to underwater adventures, one of the best places to visit in Mozambique is Tofo; here you have the chance of taking in the amazing sight of giant oceanic manta rays, some of which have a wingspan that is seven metres long! 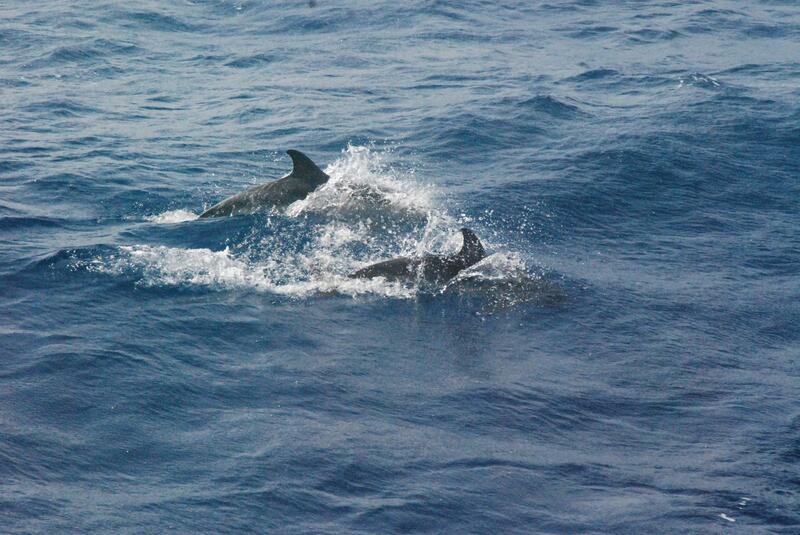 Dolphins can be found around the waters of Mozambique almost the whole year-round at places like Medjumbe Island. Some excursions give you the chance to not only swim with dolphins but whale sharks too; don’t worry, they are harmless to humans! Marine turtles can also be seen during some underwater exploration, while the Quirimbas Archipelago beaches give you the chance to witness turtle nesting or hatching from October to April. Other marine species including mobula rays and various sharks, not forgetting colourful coral can be seen at places like the Two Mile Reef.